My interview with Shelagh Rogers was one of the longest I’ve had for this website, but that didn’t stop it from flying by all too quickly. It’s incredibly easy to get lost in her stories; she flows from the fascinating to the profound to the humourous, gliding along on her clear, warm voice, colouring each subject with the beautiful metaphors and descriptors that only a gifted artist could conjure so effortlessly. Her laugh makes frequent guest appearances, and her enthusiasm and compassion never leave the room. Listening to Shelagh, it feels like the most natural thing in the world that she’s made a life out of stories—sharing her own, exploring those of others and making a concerted effort to uncover the truth behind Canada’s. The chapters between Shelagh’s childhood in Ottawa, Ontario, and her current life on Gabriola Island, British Columbia (where she lives with Charlie Cheffins, her husband of nearly 14 years, and their beloved schnauzers Sam and Strauss, and hosts CBC’s The Next Chapter) are filled with incredible stories of generosity, accomplishment, discovery, bravery and growth. They’re rich with the arts, and include some of the most wonderful characters Canada has to offer. 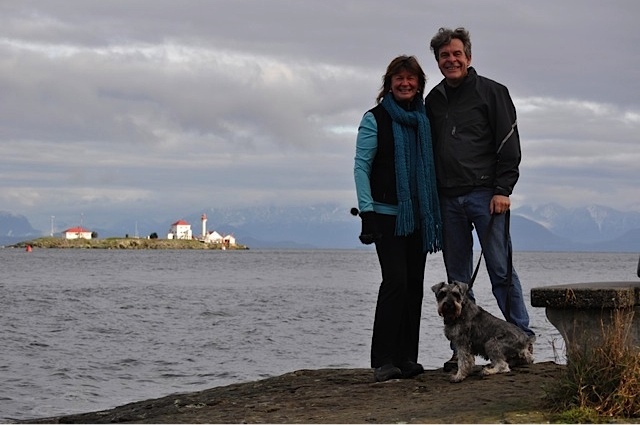 With Charlie and Sam on New Year’s Eve 2011, Gabriola Island, B.C. Not surprisingly, Shelagh has met quite a few Kickass Canadians along the way, all of whom adore her. 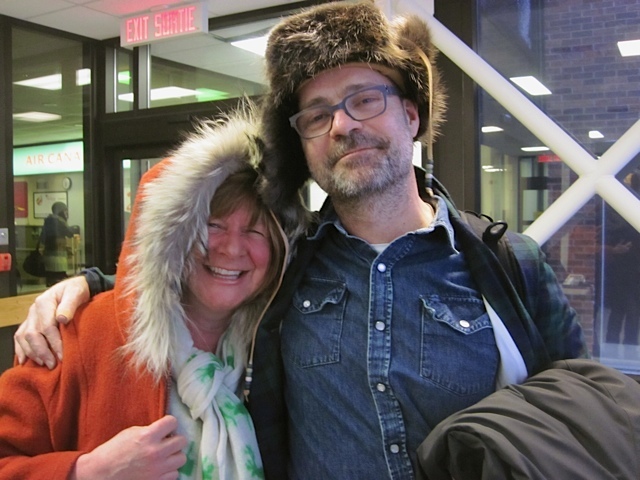 Shelagh also knows Kickass Canadian Rob Baker of The Tragically Hip, whom she’d seen just days before our interview. They attended the Great Moon Gathering in Fort Albany, Ontario, an annual “bringing together of the Cree who live in Western James Bay Cree communities.” She writes (wonderfully) about the event on The Walrus Blog, but in a nutshell, she describes it to me as a late winter celebration in which educators from each of the eight Omushkego Education Authorities gather for talks on restorative justice, and workshops on moccasins, sweat lodges, the Cree language and more. She’s clearly still entranced by the event, joyfully and vividly recounting her talks with writer Joseph Boyden, The Tragically Hip singer Gord Downie and “Bobby” Baker. But what seems to have struck her most is Grand Chief Stan Loutitt’s session on Treaty No. 9, which was signed in the early 1900s in response to petitions from the northern Ontario Cree communities regarding settlement and development. The importance of exploring reconciliation was introduced to Shelagh’s story in 2008. She was working on Our Home and Native Land, a series she’d created with “cherished producer” Sue Campbell for Sounds Like Canada, which examined Indigenous issues. “Both things to triumph, but also things that need examination in this country,” she says. In every interview she conducted, the residential schools came up. The word “intergenerational” was also mentioned frequently. So Sue arranged for Shelagh to interview John, Lillian and Victoria Jones, a father-daughter-granddaughter trio representing three generations of a First Nations family. Their talk took place in April 2008, about two months before the official Statement of Apology was issued by the Government of Canada. After speaking with the Jones family, Shelagh realized not only the profound impact the legacy of residential schools has left, but also that she still had very little understanding of what had really taken place. Moved by the Jones’ story, and by her deepening friendship with the family, she committed to further exploring the issue and trying to help reconcile our past. Because of her exemplary efforts to draw out such stories, Shelagh was made an honorary witness for the Truth and Reconciliation Commission of Canada (TRC), and received the NCSA Award from Native Counselling Services of Alberta for striving towards reconciliation between Indigenous and non-Indigenous people. She speaks on the matter whenever she can, which, she says, often means speaking in church basements and community halls. She also hosts an ongoing series of “ad hoc” dinners that “bring Aboriginal and non-Aboriginal people together over food—not necessarily with an agenda, just to get into the same room and let’s just talk to each other, let’s just connect.” So far, the dinners have mostly taken place either at Shelagh’s Gulf Island home or at Joy Kogawa House in Vancouver. But the feast is moveable. At one of the dinners, which she organized with her good friend Todd Wong, each guest was asked to talk about why they accepted the invitation. Shelagh recalls an Anglican minister who felt it was important to understand the Anglican Church’s connection to residential schooling, and how that factored into being a missionary across Canada. There was also a woman who was developing an educational video game that allowed the player to assume the role of a child in a residential school. “You would be losing if you spoke your own language, you would be winning if you spoke English,” says Shelagh. Reconciliation is top of mind for Shelagh. But she still finds ample space in her heart for a great number of other passions. The arts, for one, which she calls “an expression of our souls” and “where true freedom of expression takes place in this country.” And swimming. In the cold. A few months later, in early 2011, Jeff took her up on the idea. He tasked her with choosing five writers, and that summer, she headed to Northern Labrador’s Torngat Mountains National Park with scribes Joseph Boyden, Sarah Levitt, Noah Richler, Rabindranath Maharaj and Alyssa York in tow. The idea was to do a radio documentary for The Next Chapter that would explore “what kind of stories they would write based on their experience in a landscape that was alien to them, in this Inuit homeland,” says Shelagh. But Parks Canada added a film crew to the mix to capture the region’s stunning visuals, and that’s where the National Parks Project (NPP) team came in. Shelagh met Kickass Canadian Geoff Morrison at a conference for the 125th anniversary of Banff National Park. He’d shown her some of the films from NPP, which he co-produced with Kickass Canadians Joel McConvey and Ryan J. Noth, and she was blown away. (“Their work is so beautiful.”) She was quick to recommend them as the film crew for her northern writerly adventure, and the project officially evolved into a documentary film called Northwords, which is scheduled for release later this year. The northern exposure provided her with one of her most treasured experiences: namely, the moment when she, Joseph Boyden, Noah Richler and sound recordist Paul Aucoin leapt off an iceberg and into the north Atlantic. “It was incredible,” she says. “I would live that over again in two seconds, because you’re just so invigorated. There had been a seal on the iceberg moments before, and we got off our boat and onto the iceberg and jumped into the water. It just felt so good and I actually really like the sense of the bracing cold. It’s just so energizing. I’ve never felt so alive in my whole life. The dragon she’s referring to represents her ongoing challenge with depression. Shelagh has spoken openly about her experiences with mental illness, both privately and publicly. Her courage and frankness earned her a 2008 Transforming Lives Award from the Centre for Addiction & Mental Health (CAMH), a 2010 Hero Award from the Mood Disorders Association of Ontario (MDAO) and a 2010 Mental Health Voices Award from the Canadian Mental Health Association (CMHA) of British Columbia. Over the years, she has tried many treatments and approaches to managing depression. For her, the most effective method has been “talk therapy.” She’s found a tremendous amount of healing energy in sharing her story with others. In addition to talking with a psychologist and spiritual advisor, she takes care to tend to the basics—eating and sleeping well, getting plenty of exercise (preferably water-based). She also watches out for “signs and signals” that the dragon might be getting ready to make another appearance. Shelagh attributes some of her desire to seek and give forgiveness in her own life to her reconciliation work. She’s been deeply touched by the capacity of some of the residential school survivors to forgive the people who hurt them, including their former teachers, nuns and priests, as well as the parents who couldn’t protect them from being sent to residential schools. The ability to love oneself may be a universal struggle. But the ability to love Shelagh Rogers is definitely a struggle she alone faces. I could have written volumes on the endless examples of how much she gives of herself (she’s the National Chair of the Peter Gzowski Invitationals for Literacy; she shaved her head a few years ago to raise money for cancer research, in support of a colleague who’d been diagnosed with the disease) and has been recognized for her incredible talents and generosity (she received the 2000 John Drainie Award from ACTRA for Significant Contribution to Canadian Broadcasting; she received an honourary PhD from the University of Western Ontario in 2001, and another from Mount Allison University in 2011; she was made an Officer of the Order of Canada in 2010 for her contributions to mental health, adult literacy, Canadian culture and reconciliation). When all is said and done, she feels that for her, the best way to make a difference and live up to her Order of Canada is to continue telling stories. Those shared experiences, whether they pertain to depression or abuse or culture or love, can serve as a unifying force like no other. 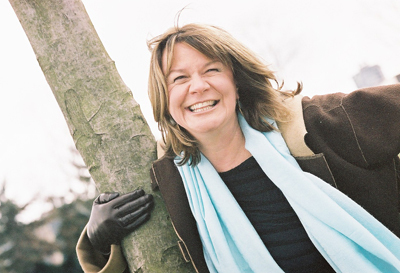 For the joyful experience of hearing Shelagh firsthand, tune in weekly to The Next Chapter. You can also follow @RogersShelagh on Twitter for her latest news. 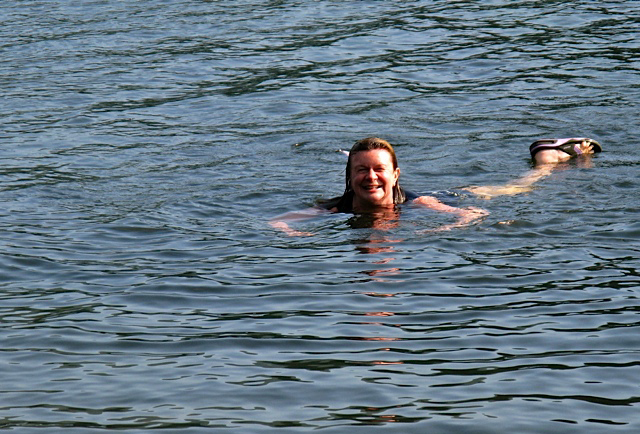 Shelagh is an expert at pushing and probing below the surface. Working tirelessly in the trenches, one-on-one making a difference to so many peoples lives. It doesn’t matter who you are or where you came from, Shelagh makes you feel equal, she makes you feel important. Even when she isn’t wearing her Order of Canada pin, its principles are what guide her life. Shelagh Rogers is worthy and I am proud to count myself among her friends. Thanks for the comment Jeff! Couldn’t agree more. Another impeccable article by Ms. Sage. I learned so much about my radio hero & hold her even higher now. Thank you Ms. Putz 🙂 You’re wonderful! Shelagh has informed Canadians about ourselves in her unique style, which everyone can understand and enjoy. She has raised the bar for interviewing standards. Thanks for the comment, Mark! I agree – Shelagh’s style is incredibly warm and inviting. Yaw, all sounds interesting. Received a call this a.m. that Shelagh will be visiting our community by invite from Lillian (Jones? ), a teacher at our Acwsalcta School. We are a small community, which is clearly divided by a white line on the road as Native/Nuxalk and white. We are reeling still from Residential School, a drive through the Res, will tell the obvious. There are too many obvious sights. I am interested in listening to her take and sharing it with others on the Reconciliation trail. Bonni, I hope the visit with Shelagh goes well. Thank you for taking the time to comment.